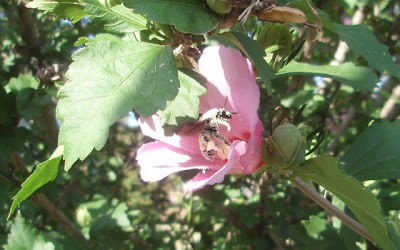 As I was walking back from the house to the church this morning, I noticed that bees were enjoying our huge Rose of Sharon bush. Since I happened to have my camera with me, I took several pics. These two are the best of the lot. All the years growing up my dad had Rose of Sharon in the yard. ALWAYS a bunch of bees and yes, I had my share of stings! 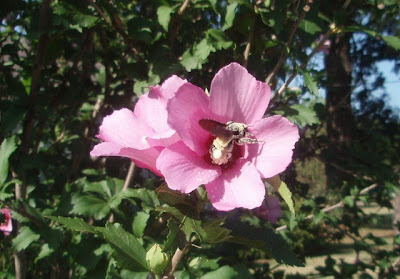 One of our Rose of Sharon's was called a "Betsy Ross." It was red, white, and blue (okay, pink, white, and purple but you get the idea!) 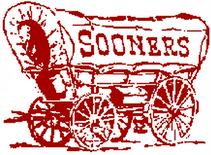 and it was sold in 1976 during the bicentennial. It is still in my mom's yard thriving. How wonderful! Bees are in such short supply these days!